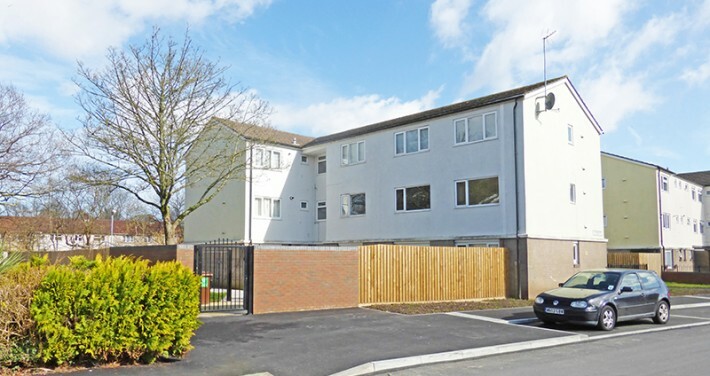 Trenchard Drive in Llanishen has benefited from environmental regeneration as part of the estate regeneration strategy. • Poor quality roads in the estate. 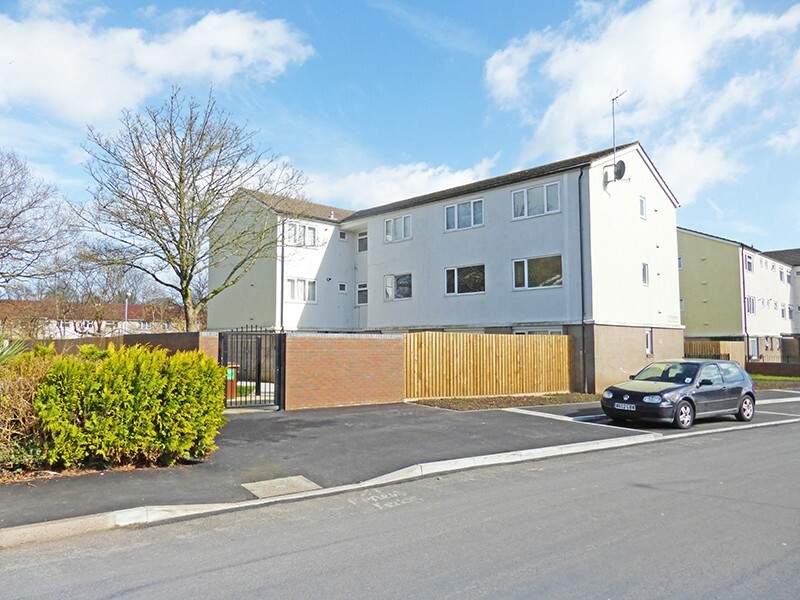 • Pedestrian links within the estate were poor and missing, including dropped kerbs to assist people with pushchairs or mobility difficulties. • Speeding cars in the estate. 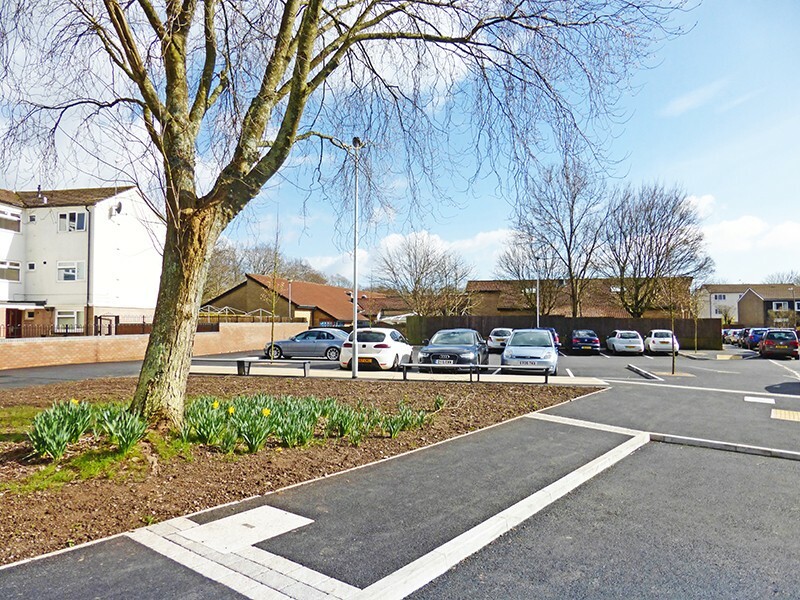 • Parking pressures around the Iorwerth Jones Centre. 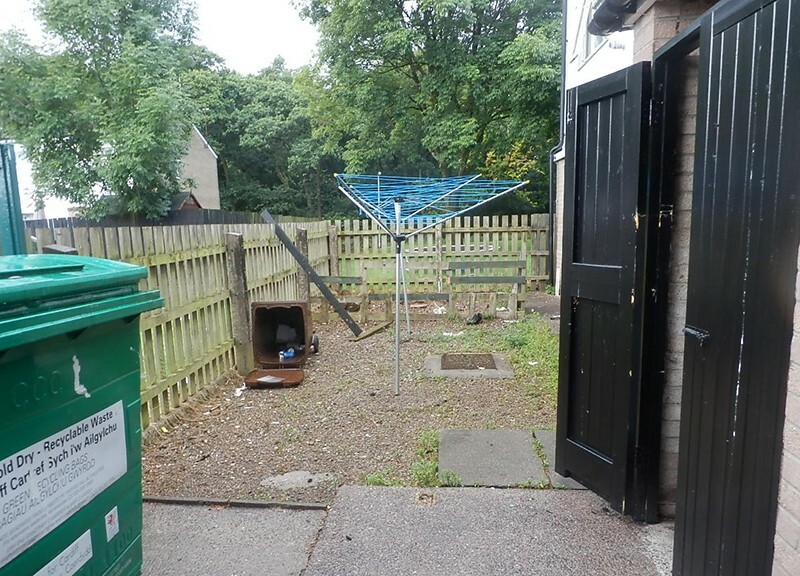 • Poor quality courtyards for the flats including drying facilities and bin stores. • New front boundary walls and railings and rear timber fencing. 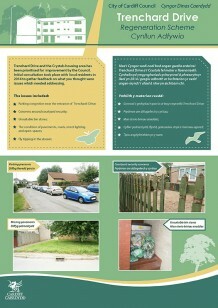 We will be sending out ‘Feedback Surveys’ to all residents within the scheme in the near future. This will tell us where we were successful and whether there was anything we could have done better.